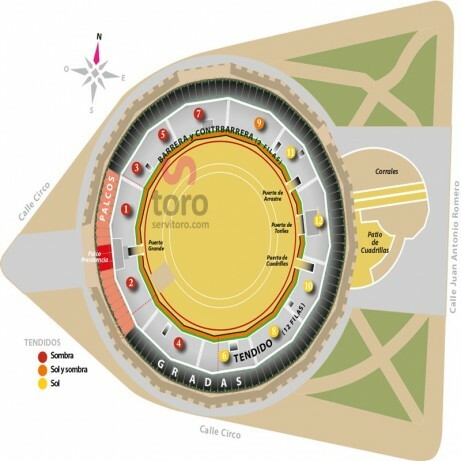 Bullfight ticket Jerez – Multi day bullfighting passes - May 16th, 17th, 18th. Jerez Bullring. 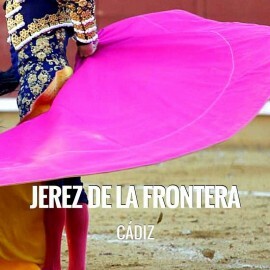 Feria del Caballo in Jerez de la Frontera. 3 bullfighting shows. Servitoro, Official Box office of bullfighting tickets sales at Jerez de la Frontera bullring. Feria del Caballo in Jerez. Servitoro delivery service offers the User the opportunity to acquire the tickets in a safe and easy manner from his/her home address, avoiding long queues before ticket offices. Servitoro offers to non-residents the opportunity to deliver the tickets to hotels, hostels and similar (4 days before the show) during their stay in Spain and coinciding with the bullfight event (charges a fixed cost of 12€ per ticket VAT included). Free for children less than 4 years accompanied by an adult. In the Bullring you can take pictures and record videos without permission.